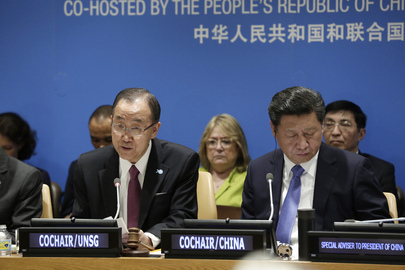 On 26 September 2015 the United Nations and the People's Republic of China co-hosted High-Level Roundtable on South-South Cooperation in New York. The High-Level Event of the General Assembly on “Contributions of North-South, South-South, Triangular Cooperation, and ICT for Development to the implementation of the Post-2015 Development Agenda” took place in New York on 21-22 May 2014. The UN System Task Team was established by the UN Secretary-General to support system-wide preparations for the post-2015 UN development agenda, in consultation with all stakeholders, including Member States, civil society, academia and the private sector. Outlines a bold vision for transformative change towards inclusive, people-centered, and sustainable development; highlights parameters to take in consideration when shaping the global development agenda. Building on a review of the current global partnership for development (goal 8), provides recommendations on potential dimensions and contours of a renewed global partnership for development. Provides an analysis of the strengths and weaknesses of the MDG indicators and outlines data innovations in new critical areas such as inequalities, governance, sustainability and population. Suggests a general contour of a transformative framework with a broader, more nuanced and context specific development strategies. Make recommendation on post-2015 development agenda and the main transformative shifts that should form its core. 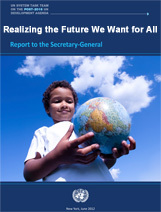 Advanced version of the Synthesis Report of the Secretary-General on Post-2015 Agenda. This special edition of the Creative Economy Report examines the interactions, policies and specific challenges facing the development of the creative sector at the local level. 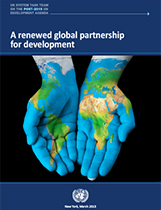 This book provides a synopsis of the UN's efforts to foster development in the countries of the Southern hemisphere. It presents arguments in parceling responsibility for the growing gap between the North and the South and details the Millennium Development Goals and assesses their successes and failures so far. The pace of transformations around the world is swift, and the consequences will be profound. The emergence of the 'Global South' may transform 21st century economics and politics in ways as fundamental as those witnessed in the wars and technological revolutions of the 20th century. This report seeks to identify how the dynamics of power, voice and wealth in the world are changing. 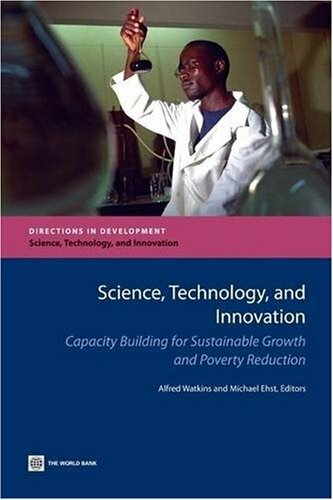 This book summarizes, and highlights main messages from, a 2007 Global Forum that discussed strategies, programs, and policies for building science, technology and innovation (STI) capacity to promote sustainable growth and poverty reduction in developing countries. South-South Cooperation has been expanding significantly over the past decade. This cooperation has mostly not included Southern civil society organizations (CSOs). This e-book is intended as a resource for South-South cooperation aid-providers, drawing upon current experience with CSOs in aid delivery.